Ce 10ème album est une ode à la Méditerranée. 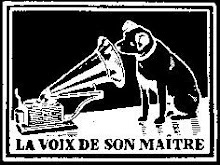 Il réunit les sonorités, les voix et les chants qui bordent ses rivages. Il associe voix d’artistes et voix d’enfants et nous entraîne dans un voyage en terre de Palestine, de Grèce, d’Italie ou encore de Corse. Une découverte musicale qui ravira petits et grands. A musicla tournament where singers rival in elegance, breath control and vocal audacity, cantu a chiterra is still largely unknown outside Sardinia. With a guitarist, each contestant takes turns at performing texts from books of poetry (more often 19th century works transmitted orally), in a show of endurance, vocal prowess and melodic inventiveness. This first volume takes a look at the canti a chitarra (guitar-accompanied songs), which form one of the most original expressions of the island's musical repertoire. Generally interpreted in competition form, this tradition invites a variety of vocalists to put to test their ability to improvise to guitar accompaniment, in front of a passionate audience of connoisseurs. Presented by Andrea Parodi, the leader and unmistakable voice of the group Tazenda, this audiobook includes two important essays by Pietro Sassu and Paolo Scarnecchia, a rich and accurate photographic collection and a CD containing the most popular canti a chitarra performed by the most acclaimed talents of our time. This is a unique opportunity to step closer to the millennial culture of this rich island, a splendid jewel of the Mediterranean. Traditional singing accompanied by guitar cantu a chiterra is also found in Sardinia, represented by performers like Luiginu Cossu, Maria Carta, and nowadays Francesco Demuro; this genre is especially well known in the northwest region of Logudoro near the city of Sassari and in the northeast region of Gallura. 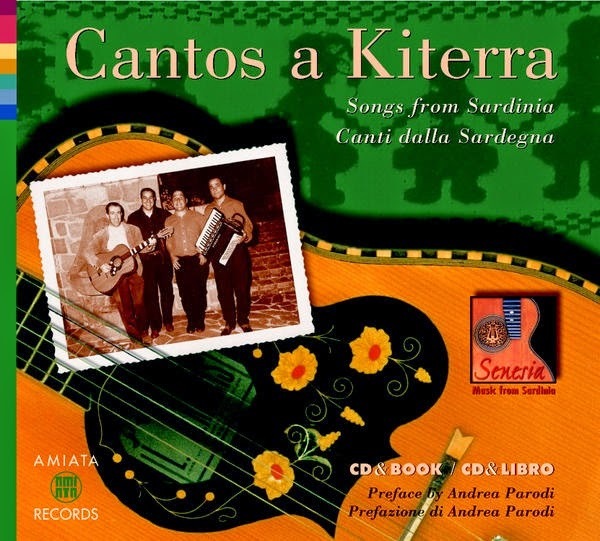 The cantu a chiterra (Sardinian for "singing with guitar") is a typical form of monophonic singing in Sardinian and gallurese, accompanied by guitar. 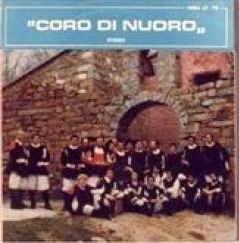 This type of song is particularly prevalent in the northern part of the island; in particular in the Logudoro, Goceano, Planargia and Gallura. 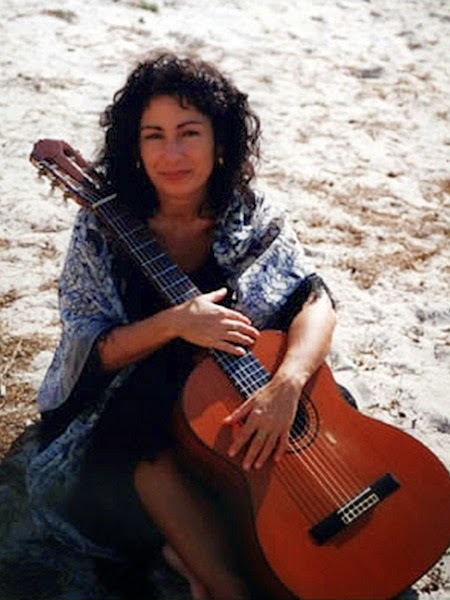 Very likely, some of the songs existed before the invention of the guitar, for example, Cantu in re (Song in D), but with the advent of the instrument they have developed different variations. 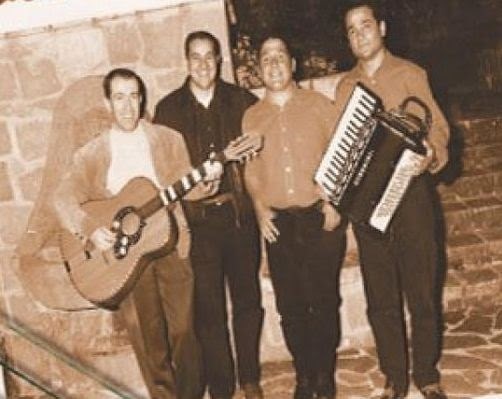 After centuries of existing in familiar setting, the cantu a chiterra also developed during the twentieth century as a singing competition, with the guitar (sa gara), taking place in front of an audience, usually at religious festivals, in forms that are still in place. The gara is a musical competition where two or three singers, accompanied by a guitarist, compete with their improvisations on pre-established musical themes to show the quality of their performance. The competition requires that each cantadore (singer) performs one verse at a time, alternating with the other competitors (usually being assigned three stanzas each). The musical reference model (variant) is not a form fully and completely defined, but rather a set of pre-established forms of musical structures (meter, melody, harmony) relatively undefined. So that is it allowed to each cantadore to improvise at will on the model of reference. 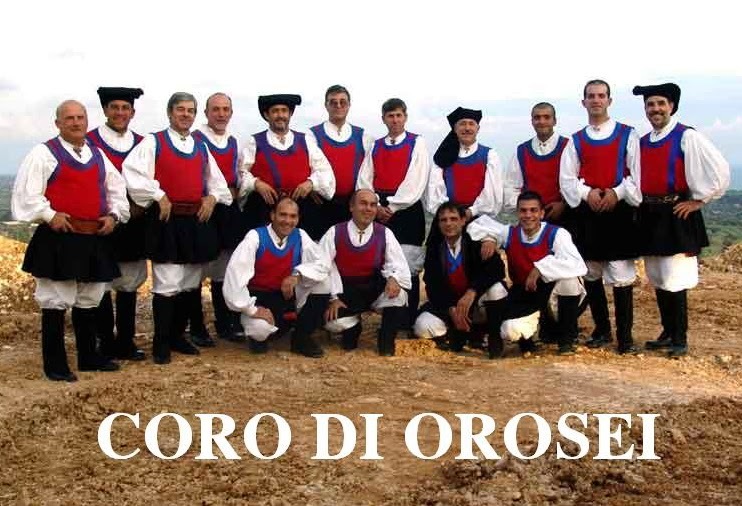 The A Tenore song has developed within the pastoral culture of Sardinia. It represents a very specific form of guttural polyphonic singing performed by a group of four men using four different voices called bassu, contra, boche and mesu boche. 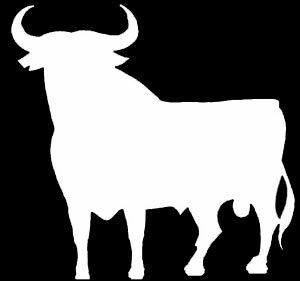 One of its characteristics is the deep and guttural timbre of the bassu and contra voice. It is performed standing in a close circle, where the solo singer sings a piece of prose or a poem while the other voices form an accompanying chorus. To be able to hear simultaneously their own and the other singers’ voices and reach entire harmony, the singers hold one of their ears closed. 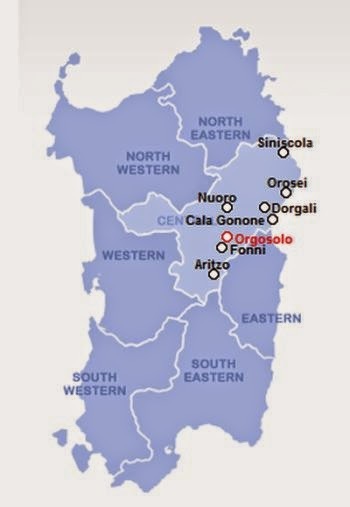 Most practitioners live in the region of Barbagia and other northern and central parts of Sardinia. Their art of singing is very much embedded in the daily life of local communities. Often it is performed spontaneously in su zilleri (local bars), but also at more formal occasions, such as weddings, sheepshearings, religious festivities and the Barbaricino carnival. 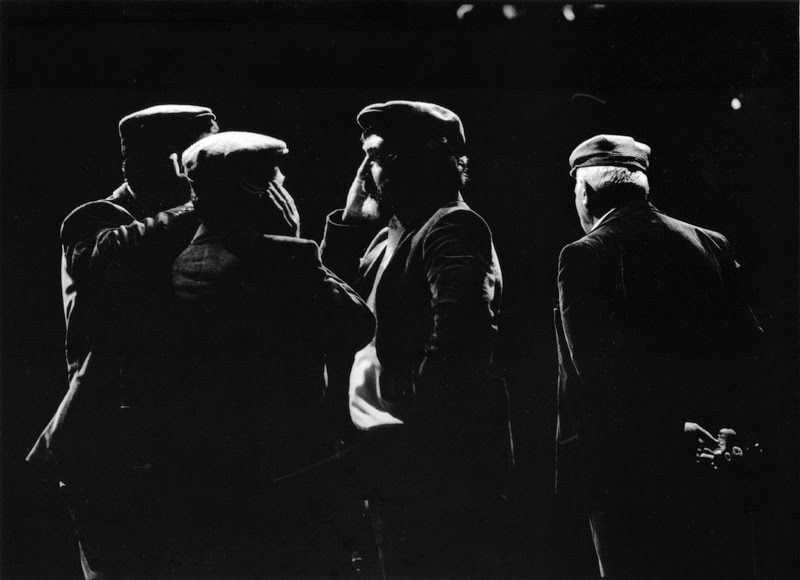 The Gosos, an ancient form of A Tenore song which is still practised in some villages today, is already mentioned in the Gosos de sa Figumorisca, dating from the early seventeenth century. The A Tenore song encompasses a vast repertoire that varies from region to region. The most common melodies are the serenade boche ‘e notte (‘the voice of the night’) and dance songs such as the mutos, gosos and ballos. The lyrics are either ancient or contemporary poems on present-day issues, such as emigration, unemployment and politics. In this sense, the songs can be regarded as both traditional and contemporary cultural expressions. 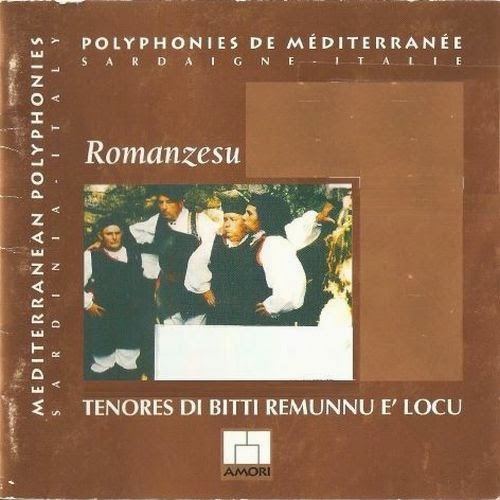 Like many oral traditions, the A Tenore song is especially vulnerable to changes in the socio-economic structure, such as the decline of the pastoral culture and the increase of tourism in Sardinia. The diversity of forms and repertoire is slowly decreasing. There is a tendency to perform on stage in front of (tourist) audiences, which affects the originally very intimate way this music was performed. Furthermore, many young people emigrate from the rural areas, making the transmission of the A Tenore songs within the villages increasingly difficult. Tenores is the first volume of the series “Suoni di un’isola”("Sounds of an Island”) edited by Marco Lutzu and published by Live Studio. 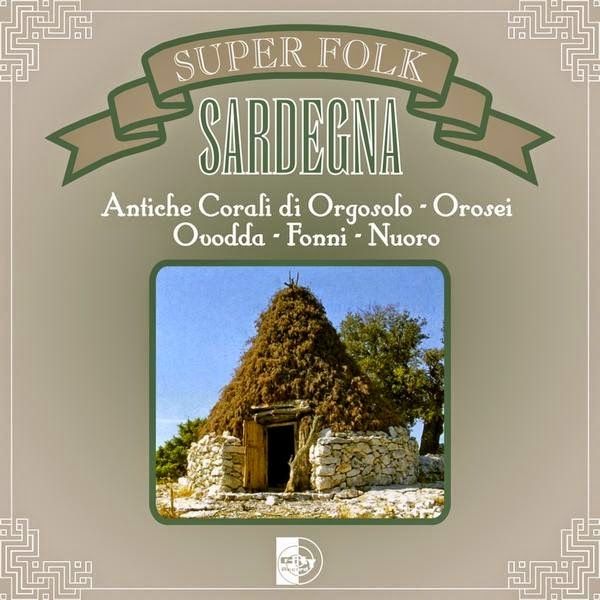 The purpose of this project is to "portray" the present musical lanscape of Sardinia as regards traditional genres through a series of cd-roms devoted to the different repertoires. 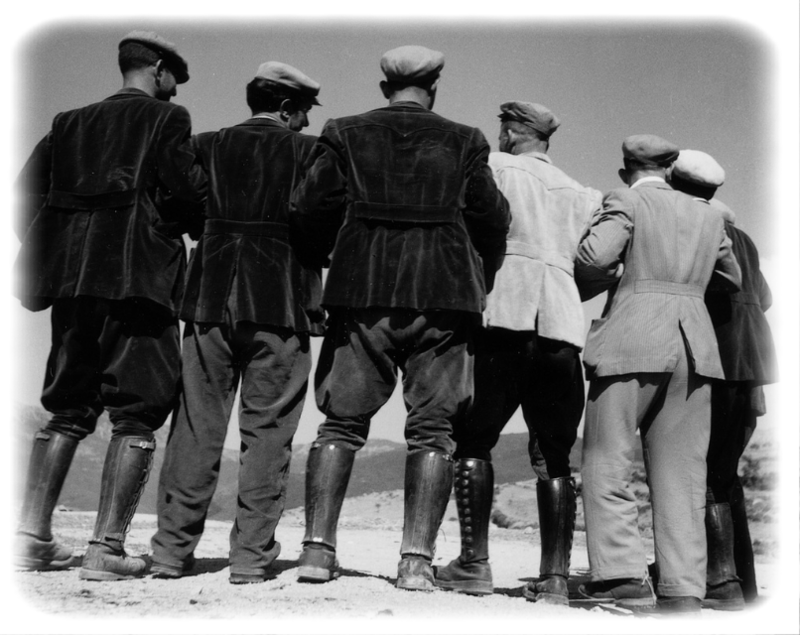 Notwithstanding the many available recordings and books on Sardinian music, an organic initiative directed to the multimedia documentation of this incredibly rich world, accompanied by accurate scholarly information, has not so far been available. The first volume deals with one of the most important genres of Sardinian polyvocal male singing: the a tenore singing, reserved mostly for secular occasions. The editor points out that this genre has already been documented in 1787, when the abbot Matteo Madau from Ozieri published Le armonie de' sardi. It was described in the following terms: "In the area of Logudoro they sing their verses with concord of many voices, called Polyodia by the Greeks, that is an artful union of voices […] divided into four parts: soprano, alto, tenore, basso, opposed to each other with exact measure of time […]. This song seems to be introduced by the Greek Dorian colonies, whose way of singing […] was low, pathetic, vigorous, majestic and noble, and able to arouse and gather the hearts […]" (Madau 1787). 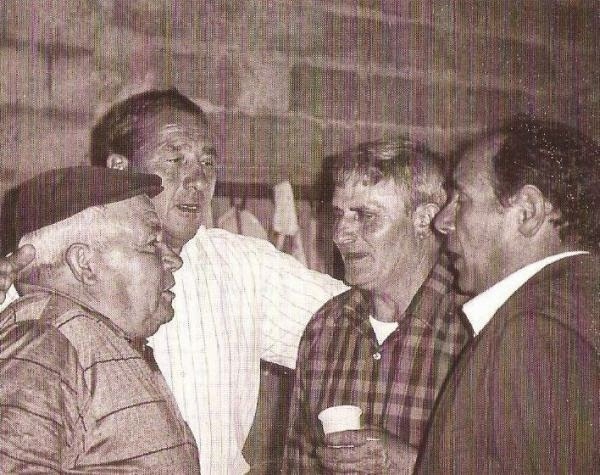 In modern terms, a tenore singing is described as a polyvocal genre distributed across the central-north of Sardinia, performed by a group of four male singers, each of them entrusted with rendering one of the four parts. The tenore belongs to the wide family of “canto ad accordo”, where a melodic line performed by a soloist is accompanied by chords realized by the other singers. 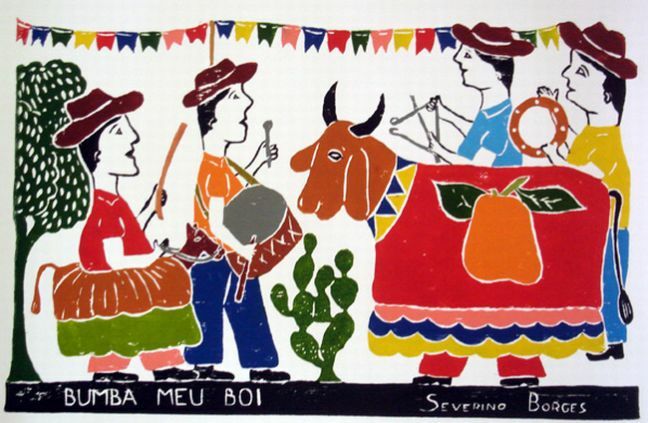 Sa oghe, the leader of the group, both sings the text and leads the singing, choosing the tone, tempo, speed, length, and tonal shifting (which deeply characterizes this kind of polyvocality). The other parts are usually called su bassu, sa contra and sa mesu oghe. They are endowed with a specific range and perform a rhythmical and harmonic counterpoint, singing nonsense syllables that change from area to area (bim-bò, bim-bam-bò, etc.). The volume Tenores presents six a tenore groups from six different villages, which are representative of the main geographical areas where the genre can be found today: from the western coast of Sardinia (Seneghe) to the eastern coast (Dorgali and Torpè), and even the most internal villages like Bitti, Ollolai and Fonni. In this way the different styles of singing found in the region are carefully documented. 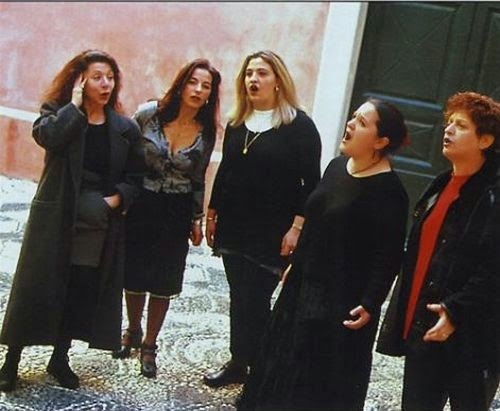 Compare for instance the style of a group from Bitti (Tenores Mialinu Pira) performing Oche ‘e notte with the more relaxed and extended way of singing the same form realized by a group from Fonni (Cuncordu Vramentu). Twelve audio tracks document also the main repertoires which commonly employ a tenore singing: ballu, that is dance song - perhaps the most typical expression of this style -; boghe 'e notte (night song), muttos and lestra, secular songs whose form is individually determined by a particular poetic structure; and gosos, a religious type of song. The volume also includes an interesting survey of the main questions related to a tenore singing dealt with in the section entitled “a tenore singing”. Marco Lutzu talks over its history — from its origin until its role in today’s Sardinian society —, occasions and functions, and musical features — from the function and role of the voices to their timbre, from the repertoire to the language and relationship text-music, and even the singers’ behavior in terms of kinesic and prossemic. Further sections deal with the geography of a tenore singing, the performers, texts, and musical transcriptions, thus providing wide information on the genre, its structural aspects, the related poetic forms and its distribution across the island. Finally, the editor takes advantage of the multimedia format in order also to include a series of video-interviews with the six groups of singers, which allow us to observe their behavior while singing, besides providing information from inside. In conclusion Tenores is certainly a work worthy of consideration, which will be very useful both for scholars and for a wider audience thanks to the quality of the audio and video recordings and the accuracy of the accompanying text. The only criticism concerns the English translation of the text, which would benefit from a revision. Tenore di Bitti "Mialinu Pira"
Tenores di Bitti are Sardinia's celebrated masters of traditional "tenores" singing, a tradition that dates back over a thousand years. The Tenores do not use written music - this precious cultural/musical tradition is handed down orally from father to son. Their singing is characterised by the sounds of the natural landscape and the singers stand one in front of the other, forming a circle; their singing is a symbol of the strength, of the social cohesion, which is felt inside. Tenores di Bitti are the established masters of this millenarian art. After twenty years of activity with the same line-up, winner of hundreds of prizes, admired by the most important ethnomusicologists, invited by such musicians like Lester Bowie and Ornette Coleman to perform with them, Tenores di Bitti are considered the absolute perfection of "canto a tenore" and in Sardinia they are near to the legend. The "Canto a Tenores", typical of the centre of Sardinia, is one of the most precious and enchanting polyphonic arts in the Mediterranean area. This traditional singing form is still well alive in the island. 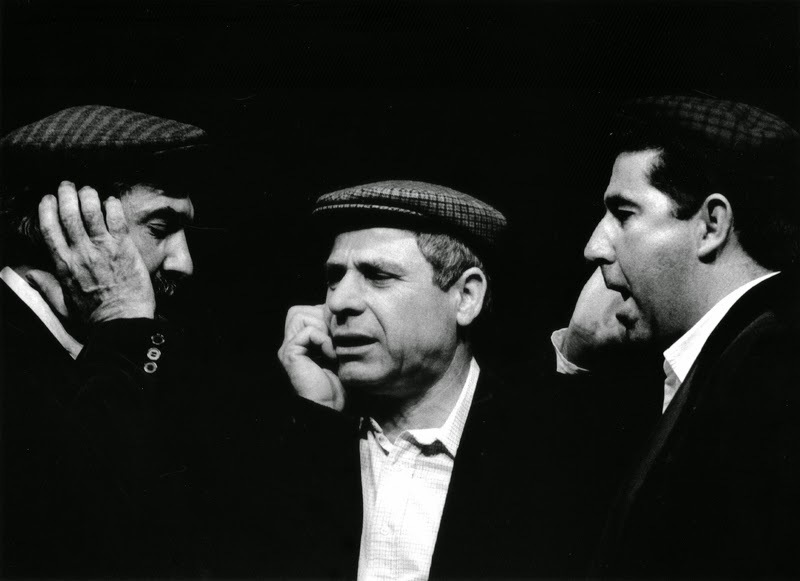 Four voices create the music: Boghe, Contra, Mesa 'oche, Bassu. The lead voice (Boghe) sings the main melody and starts the song, while the other three voices are the rhythmic accompaniment characterised by nonsense syllables. 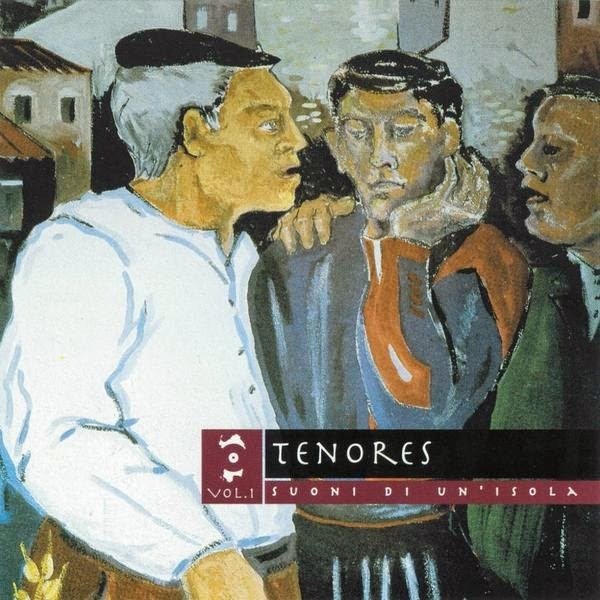 Using their typical guttural timbre and tuning jumps, Tenores have an enormous repertoire: Mutos, Ottave, Battorinas, Terzine, dances and improvised rhymes. Deeply different from any other Italian polyphonic style, specially for the bass voices, surprisingly "Il Canto a Tenore" shows many analogies with the primitive vocal music of Oceania and Africa. Marina Pittau was born in Cagliari, Sardinia. From her earliest childhood, she was inspired by the music she heard around her and she taught herself to sing and play the guitar. 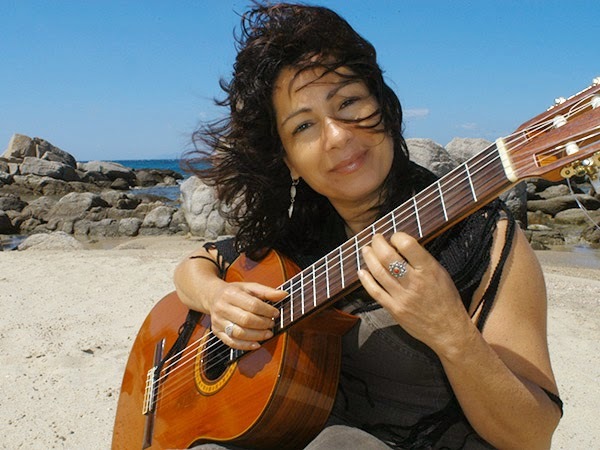 For the past ten years or so she has been living in Geneva, where she teaches music and singing, but she returns to Sardinia regularly, and it was there that this recording was made, with some of the island’s most remarkable musicians. And the result meets all our expectations, with a colourful mixture of the ‘musical mysteries’ of Sardinia, including fascinating instruments such as the launeddas, and the cosmopolitan sensibility of this very fine singer. 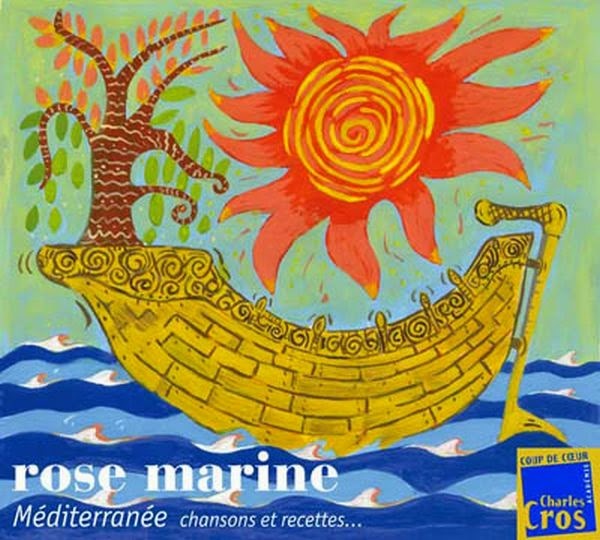 Ce CD se présente sous forme d’un voyage imprégné des sons et des songes de la Sardaigne, où la mélancolie des ballades alterne avec les rythmes effrénés des danses. Il nous conte l’amour, la séparation, l’exil, l’espoir de retour, mais nous parle aussi de légendes et de rites magiques. La recherche musicale de Marina Pittau vise à mettre en évidence le côté narratif du texte. À côté de ses propres compositions, nous pouvons entendre des chants issus de la tradition orale, du XIVe siècle à nos jours, redécouverts dans un arrangement nouveau. Marina Pittau est ici accompagnée par une palette de musiciens sardes, dont les timbres instrumentaux ancrent sa démarche dans une tradition en perpétuel renouvellement. Marina Pittau est née à Cagliari, en Sardaigne. Dès sa plus tendre enfance, elle s’imprègne de toutes les mélodies et des rythmes qu’elle entend. Elle aime chanter ! Mais sa terre lui paraît hostile : elle ne peut pas y développer sa passion pour le chant et la musique. Comme un oiseau qu’on veut mettre en cage, elle doit s’envoler. Elle décide de partir pour le Nord, ses bagages emplis de souvenirs et de mélodies. La musique est désormais sa seule patrie et elle erre longtemps comme une nomade. Foncièrement autodidacte, elle témoigne dans son chant et son jeu de guitare d’une grande liberté expressive. En 1982, elle arrive à Paris, où elle entreprend ses premières études musicales, et aussi ses premières expériences de la scène en interprétant les chants traditionnels de sa terre natale. Elle est invitée plusieurs fois à la radio, d’abord à France Musique, puis à France Culture, qui lui consacre une émission, « une Sarde à Paris ». Après quelques années, elle poursuit ses études au Conservatoire populaire de Genève, où elle obtient un diplôme de chant classique. C’est à cette époque qu’elle commence à étendre son champ artistique en direction de la composition et du théâtre. Elle participe dès lors à de nombreux concerts, festivals, émissions de radio et de télévision en France, en Suisse, en Italie, en Espagne et, dernièrement, jusqu’au Maroc. Marina Pittau enregistre son premier CD, « A Distempus », en 1996, en duo avec la chanteuse Lucia Albertoni. Depuis plusieurs années, elle se consacre à l’enseignement de la guitare et, surtout, du chant dans le cadre des Ateliers d’ethnomusicologie de Genève, animant notamment des stages de chant polyphonique. Pour préparer ce nouveau disque, Marina a fait un long séjour dans sa terre natale afin d’y retrouver ses racines et de renouer des liens avec des musiciens traditionnels. Les enregistrements, réalisés sur place, présentent les résultats de cette rencontre avec certains des plus remarquables de l’île. Valentino Meloni est né à San Gavino Monreale en Sardaigne. Baignant dans la musique depuis son plus jeune âge, il commence à étudier la guitare avec son père, Maestro Celio Meloni. Guitariste éclectique, formé tant à la musique classique qu’au style traditionnel sarde, il a souvent accompagné des poètes improvisateurs. En tant qu’interprète et que compositeur, il se produit fréquemment en solo, en duo ou au sein de diverses formations. Depuis plusieurs années, il enseigne également la guitare en Sardaigne. Orlando Mascia est né à Maracalagonis, en Sardaigne. Il se produit depuis de nombreuses années dans l’intention de faire vivre différents instruments typiques de Sardaigne : les launeddas, une triple clarinette de roseau, le sulittu, une petite flûte de berger, la guimbarde (trunfa) et l’accordéon diatonique (organittu). Spécialiste notamment de la fabrication de ces instruments, il enseigne et anime des stages dans différentes écoles de Sardaigne. Il a également participé à de nombreux festivals et émissions en tant que soliste ou qu’accompagnateur, en Sardaigne et à l’étranger. Peppino Cabiddu est né à Abbasanta, en Sardaigne. Il chante et joue de la guitare sarde depuis l’âge de treize ans. Passionné par le « chant à guitare » (boghe a chiterra), un style qui s’est développé dans le Centre-Nord de l’île dont il est originaire, il est fréquemment invité à participer aux fameuses « sérénades » traditionnelles. Dans le passé, il a souvent accompagné à la guitare les plus grands chanteurs, notamment lors des joutes de chant à guitare (gare de boghe a chiterra), tout en se produisant aussi en soliste. Rossella Faa, chanteuse et compositrice, est également sarde. Elle collabore à divers groupes de musique traditionnelle et a participé à différents projets théâtraux en tant que comédienne et que musicienne. 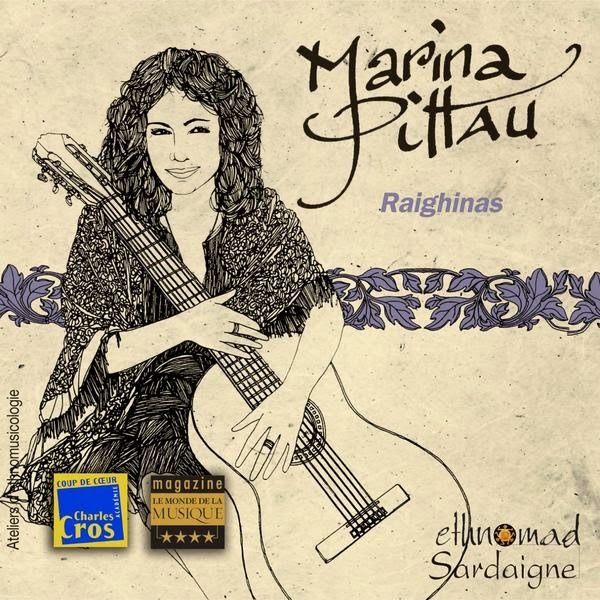 Dans ce disque, elle prête sa voix à deux compositions de Marina Pittau : « Rosariu » et « Dadenos abba ». Marco Malatesta est originaire des Abruzzes. Diplômé en musicologie de l’Université de Bologne, il suit également une formation de pianiste, de batteur et de percussionniste, qu’il a perfectionnée à Rome. Il travaille actuellement comme compositeur et musicien avec différentes troupes de théâtre et ensembles musicaux, avec lesquels il effectue de fréquentes tournées. 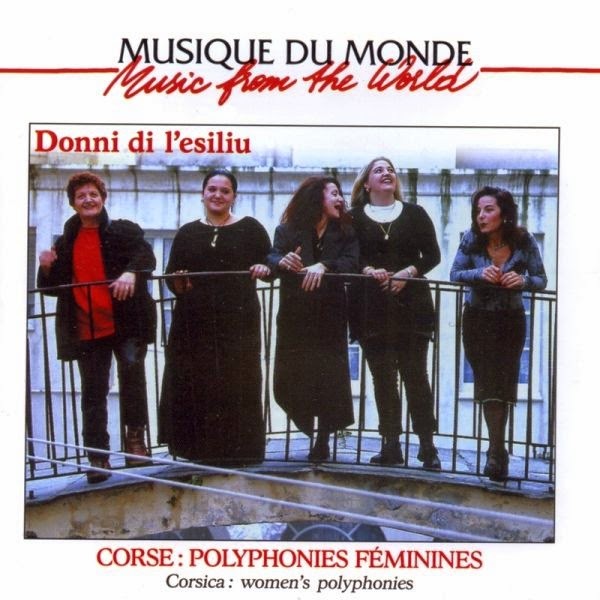 Ce groupe féminin, composé de Anghjula Potentini, Jacky Micaelli, Béatrice Habrard-Malaspina, Elisabeth Bottalico et Izia Bartoli-Dau. Donni's approach can be linked to a current that sprang from Giovanna Marini's initiative. There is a similarity of behavior vis à vis the traditional. The reunion with the memory of songs celebrating life, death, love or work has helped a certain form of traditional music to emerge: that of the stage and production, and therefore of a certain measure of theatricality. The traditional music of Georgia is the only music in the world to be under UNESCO protection. The music of Georgia is at its origins polyphonic. That none of the neighbouring countries have produced anything similar, eliminates the possibility that Georgians were directly influenced by other musical cultures. 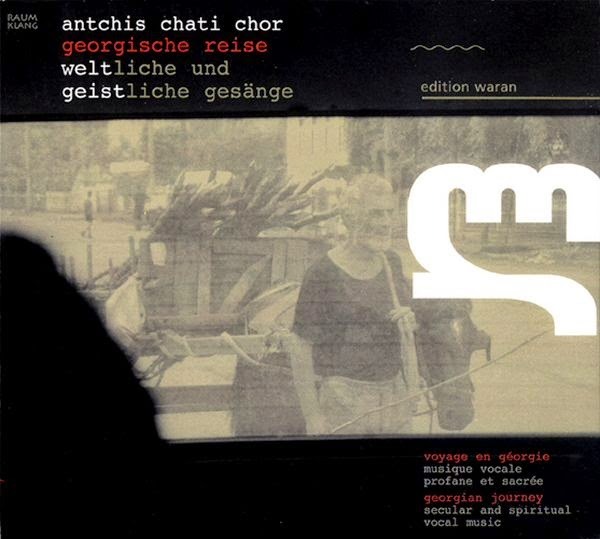 The Antchis Chati Choir has set itself the goal of reconstructing the Georgian repertoire in its original form. Its members maintain contacts with Georgian music experts all over the country. They often travel to villages, to record the song variations that are still sung today. In summer 2003 Raumklang (Sebastian Pank) travelled to Georgia and met there beside the Antchis Chati Choir the Tsinandali Choir and three older singers from Guria. This recording was produced with an emergency generator in an old monastery, an abandoned cinema, and a former cultural centre. With this CD one can travel through Georgia in a musical way. From the powerful songs of Kachetia, Kartli and Megrelia - songs of love, about the host, wedding songs, an ancient field work song and others - to the sacred music from the Schemokmedi monastery. Sebastian Pank lives near Leipzig. He made a journey trugh Georgia and published on his label "Raumklang" a fabolous Double-CD (146:28) about georgian music that he researched and recorded in different territories of Georgia about a few of years. "Georgian journey. Secular and spiritual vocal music" ist a great work! Walk me out in the morning dew, my honey. 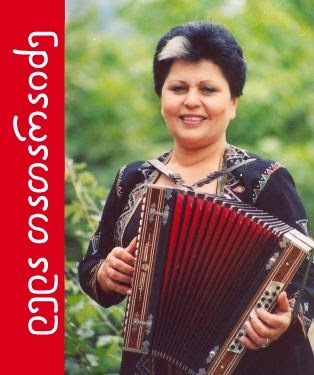 Lela Tataraidze sings and plays accordion and panduri. Music inspired by the nature of Lela's native land. Lela grew up in a family of musicians from Tusheti, the mountainous region of Georgia. With her sad eyes but a happy face, she is an excellent accordion and panduri player, and also a brilliant vocalist, who sings the popular songs of the mountains with a lot of emotion and her own Songs also. Her sister, Eter Tataraidze is Folklorist also, she is working at the Folklore Center of Georgia. She was brought up in the musical atmosphere of her family and continued her studies at the school of music and later on at the Philharmonic ensemble of Tbilisi, the capital of Georgia. At the same time, Lela works at the Regional Cultural Center of her hometown and works as the soloist of the radio and television of Tbilisi. She founded the trio ensemble of Kesane (which means the flower of Myosotis forget-me-not) and recorded her first CD for Pan Records in Holland in 1999. Lela is accompanied by two female singers and players of panduri and dayera, Marina Giorgadze and Lia Khountsaria. To put it short, this ... is the quintessence of mountain music: pure, primal, without any additives. Everything else, more complicated, is based on this music. So, here are the roots. Located in the remote mountains of northwestern Georgia, the province of Svaneti has retained more of its local language and ancient cultural traditions than anywhere else in the country. Compared with other musical forms in Georgia, Svan singing has been the least affected by hybridization and cross-cultural musical evolution, and is characterized by unusual scales and vocal timbre. The Svan language is the oldest and most-endangered of the four main languages in the Kartvelian language family, with only 30,000 native speakers. 15,000 speak the dialect of Upper Bal, from the Upper Svaneti region. This region is home to Ensemble Riho, directed by Islam Pilpani, and includes many older musicians whose memories of local music, language, and stories may disappear with their passing. Svaneti is located North-West of Georgia, on the highest slopes of the Caucasian range. It is said that the Svan people already existed when Jason, looking for the Golden Fleece, reached the shores of Colchis. 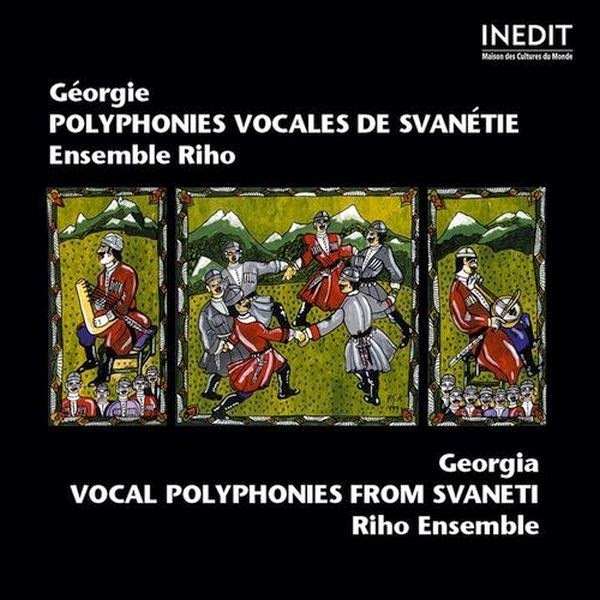 Because of their isolation, the Svans, whose early history is revealed in the writings of Xenophon, cultivate an ancient vocal repertoire, sung yet with raw sonorities, but in a very elaborate polyphonic style. Pre-Christian ritual songs, historical/epic songs, praises and folk religious hymns are performed by the Riho Ensemble, composed of the best singers from Mestia surroundings. Svan songs retain some of the oldest and most startlingly non-Western tuning, and feature a very powerful performance style. 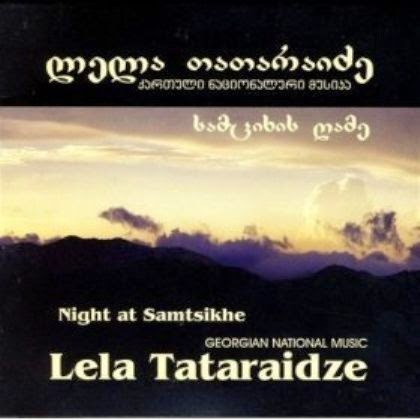 While folk song texts from all parts of Georgia address themes of work, family, love, friendship, hardship, and warfare, among other topics, songs from Svaneti also preserve some of Svaneti’s pre-Christian religious traditions. The villages of the Svaneti province are located in north-western Georgia, in the valleys that lie between the mountains of the Caucasus. The Svans represent about 1% of the Georgian population. 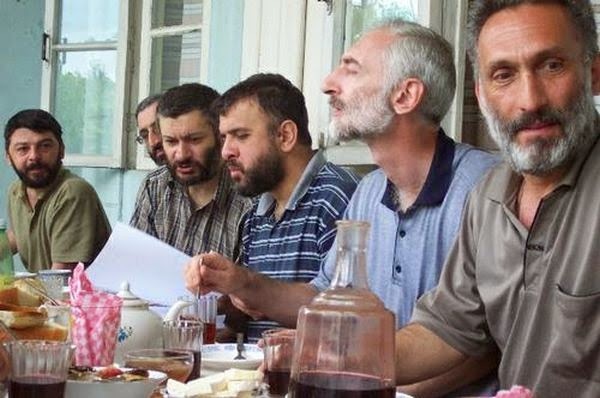 Their language differs from the Georgian language, and their religion is a syncretism of Orthodox Christian faith and pre-Christian beliefs. The polyphony of the Svans appears as one of the major styles of the Georgian vocal art. It consists of two soloist voices and the bass of the choir. In their funeral rituals, the Svans combine three vocal expressions which are rarely found nowadays in other parts of the world: women's individual laments punctuated by collective wails like in Ancient Greece, men's individual laments, and polyphonic chants by male choirs. While the individual laments are aimed at the deceased and the souls of departed people, the men's polyphonic chants use no words but a series of syllables which follow a set pattern. With chords partly dissonant to a Western European ear, and without any cries other than musically stylized ones, these collective chants of great intensity manage to convey the helplessness and inexpressible grief of Man faced with death. 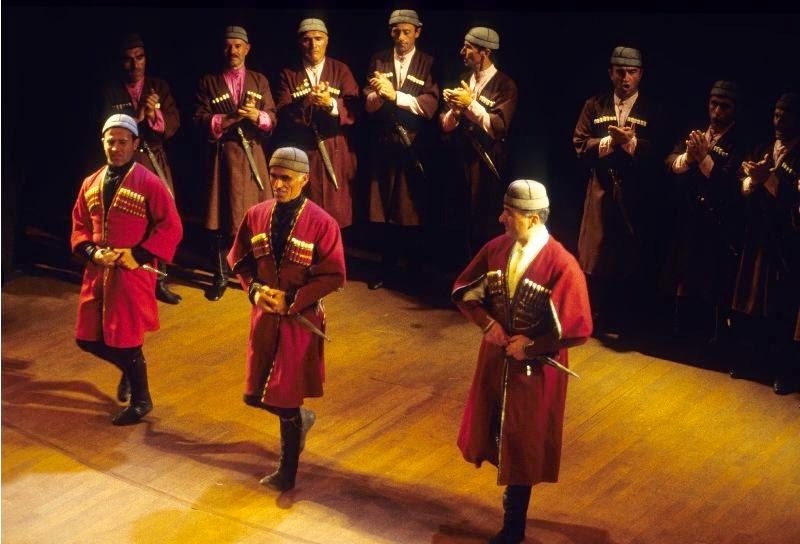 The Riho Ensemble is a well-known regional choir of Upper Svaneti, directed by Islam Pilpani. This rehearsal, filmed in 1991, is especially interesting since it shows how the chords are composed of the three melodic lines, and how the songs are learned and rehearsed, at least by a semi-professional choir.